The Aqua viva range is a luxurious but affordable collection of hotel toiletries suitable for all establishments. Citronella is a delicately, reviving, refreshing zesty lemony fragrance, ideal for use by either male or female guests. 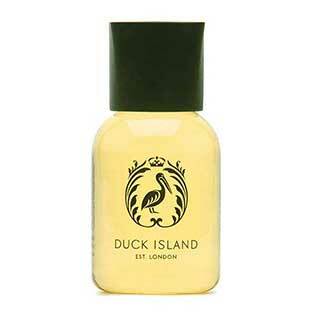 Duck Island is an exclusive and distinctive luxury brand of toiletries. Duck Island toiletries are very popular with hotels and hotel guests and available in 30ml or 50ml bottles, 250ml pump bottles and 5 litre refills. Our Emerelle Spa range of toiletries is enriched with herbal extracts for a fresh and lively feeling. Essevero toiletries have a warm, calming and refreshing fragrance with hints of almond, helping to soothe away the pressures of the day to rejuvenate the body. Our sanitary hygiene bag dispensers are the modern presentation for sanitary bags, keeping them clean and tidy until they are required. 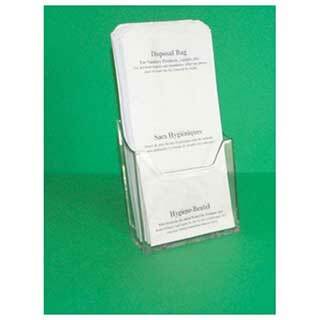 Hygiene or sanitary bags are a hygienic, clean and safe way of disposing of sanitary products. We supply a wide range of soap dispensers, from wall mounted refillable soap dispensers to wall mounted stylish stainless steel soap dispenser brackets. All our soap dispensers are stylish, robust and perfect for bathrooms and shower rooms. A wide range of liquid soaps including the wild Fig & Ginger range, Citronella Anti-Bacterial hand wash and the Duck Island range. Hotel liquid soaps, bath gels and moisture lotions from a number of suppliers, including Duck Island, Emerelle Spa, Aqua Viva and Mulben and Fearne . The Mulben & Fearne No 1 hotel toiletries range has been created as an addition to the Mulben & Fearne hotel toiletry family. Using only natural ingredients, the very comprehensive Mulben & Fearne Original range of toiletries and amenites will please your guests with its fresh and invigorating fragrance. We have a wide choice in presentation trays or presentation bags for you to present your toiletries and accessories to impress your guests. Our range of guest amenities includes shaving kits, dental kits, sewing kits, vanity kits, shoe shine kits and nail care kits. Wild Fig & Ginger is a new exciting fragrance which has been inspired by the more expensive toiletry brands and is suitable for all establishments. Wild Fig & Ginger is supplied in Hand Wash, Hair & Body Wash and Moisture Lotion.